The excitement of contemporary choral music and the creative process is at the heart of Treble Voices Now, WomenSing’s own new music festival for upper voiced choirs, inaugurated in 2014. 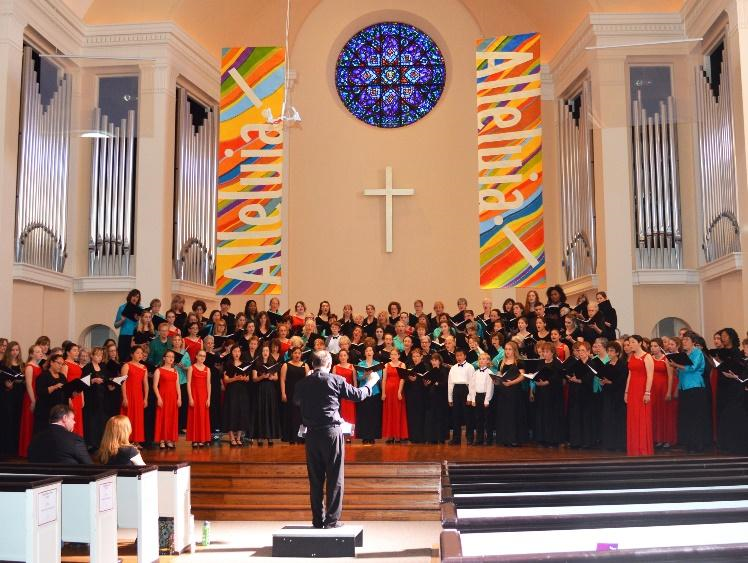 In keeping with WomenSing’s mission, Treble Voices Now creates a vibrant choral experience that fosters the exploration, performance and composition of quality innovative choral music written for treble choir. As an extension of our award-winning Commissioning Emerging Composers (CEC) project (formerly known as Youth Inspiring Youth), it gives participating choirs and the public an opportunity to experience the creative process first hand. Made possible through the generous support of the TVN Founding Contributors, donors to the Youth Inspiring Youth Project, and a grant from the Lafayette Community Foundation, Treble Voices Now continues to grow and expand. Watch for more information about the next edition of Treble Voices Now, planned for 2019.